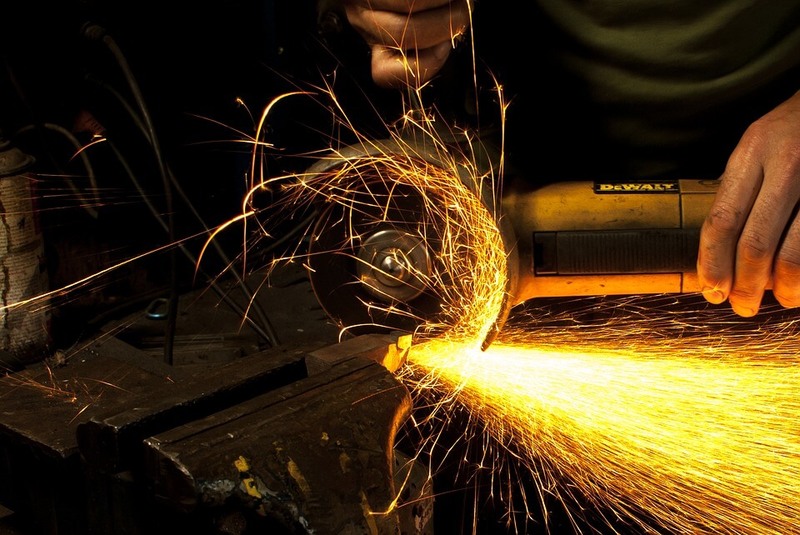 The power consumed in metal cutting is largely get converted into heat energy. Considerable amount of heat is produced during the metal cutting process due to friction between tool and workpiece, and shear of the workpiece. The major factors that cause the heat generation during the metal cutting are listed below. Friction between tool faces and workpiece. Worn out and incorrectly ground cutting edges of tool. Poor surface finish of cutting face of tool. Formation of built-up edges on cutting faces. Workpiece and tool material – the material with higher thermal conductivity produce lower heat compared to a material with lower thermal conductivity. Cutting conditions – speed, feed and depth of cut. Speed has a prominent effect than feed and depth. Some of the solution to overheating are, the proper grinding of the tool, use appropriate cutting fluid, use the chip breaker etc. the color of chip used to measures the extends of heat at the tooltip. A blue temper color on the chip formed in dry cutting indicates the tooltip is hotter than when an uncolored silver chip formed with use of cutting fluid. Thermal aspects of metal machining – How heat affect the metal cutting? The heat generated during the metal cutting process change physical properties of cutting tool and machined component. The portion of heat flows into tool cause very high temperature at tooltip. Heat change tool geometry (dimension), reduce its hardness and make it less wear resistant. In extreme case, tooltip gets melted. The thermal stress developed in tool also contribute to tool failure. Heat also causes dimensional inaccuracy of machined surfaces. Heat induce oxidation, corrosion of metal at the surface. Overall heat reduces the machining accuracy, sometimes it spoils whole work. However, heat has some advantages also. It softens the metal that helps to reduce the magnitude of cutting force. Plastic deformation of cutting edge. Thermal flaking and fracture of cutting edge due to thermal shock.